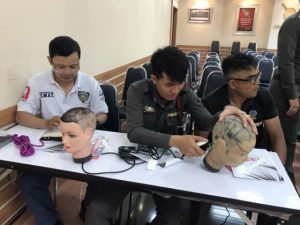 OVER the past one to two days policemen at Plubplachai1 station have from time to time have put down their pistols and picked up scissors and clippers to cut and trim hair, Matichon newspaper said this morning (June 2). 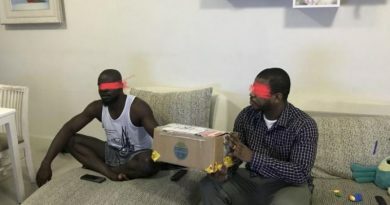 “This idea came to me when it was very hot last summer, I felt like cutting my own hair at home, seems easy to get a skin head and went and bought clippers from a store for 3,000 baht. “I did manage to cut my hair and felt very happy because generally going to a barber costs 800 baht and this saves a lot. Using the clippers three to four times is already worth it. 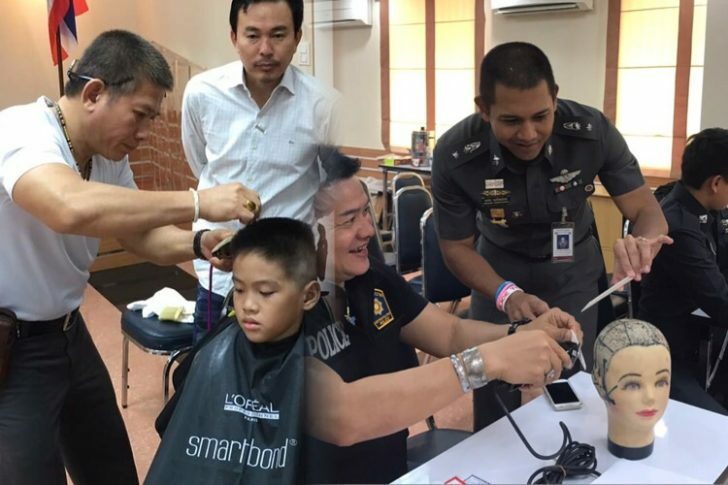 “Then I thought of other policemen earning low wages, we are in uniform and have to cut our hair often to take care of our image and hairdressing costs are high, every month minimum 100 to 150 baht, it adds up when you cut your hair often. “So I thought if we cut our own hair then it’s a new perk at this station and the cost of living goes down by 100- 150 baht and that’s two meals okay. “So I suggested my idea to my chief asking to launch a barber shop in the police station for policemen and their families” he told Matichon reporters. Pol.Lt.Col. 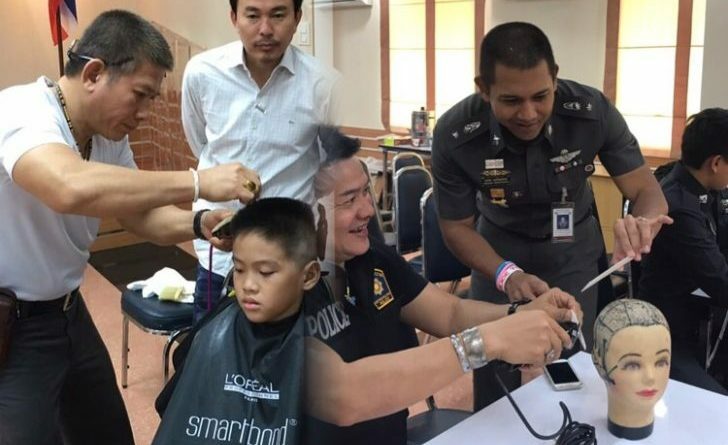 Pongtorn added that he sees teaching policemen to cut their own and others’ hair as being a good part-time job because this profession is reserved for Thais. In future policemen at this station could open their own barber shop and this would help earn extra income, he mentioned. Moreover Plubplachai1 police station is in the same building as Plubplachai 2 police station so that’s double the number of policemen for Plubpla Barber. 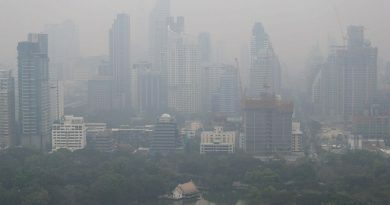 “We see the importance of quality of life under sufficiency economy philosophy of the late His Majesty King Bhumibol Adulyadej,” he said.